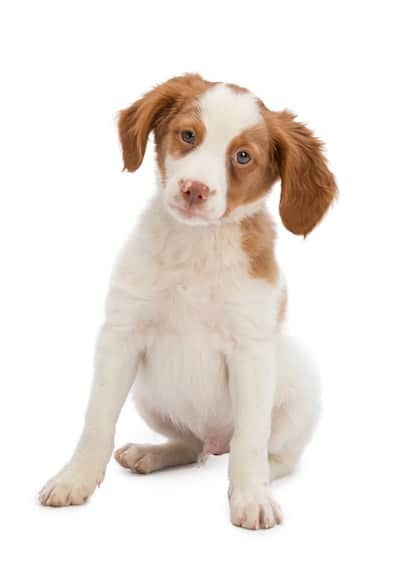 Did you know that the Brittany dog was initially called the Brittany Spaniel? The AKC dropped the “Spaniel” from The Brittany Dog's name back in 1982, but they are still referred to as Spaniels from time to time. In reality, the Brittany dog breed's personality traits are more like those of a pointer or setter, rather than a Spaniel. It, therefore, makes sense that the AKC dropped the name. The distinction between the two is that the American Brittany is taller and faster than the French Brittany. The American Brittany is also more independent than his French couterpart. You know how you have to run a Husky about twice a day to calm down the crazies? The Brittany's needs are rather similar. The kids want to play? Walking your Brittany around the block once a day is not enough to get out all of her pent-up energy. She does best when you give her a “job” to do. 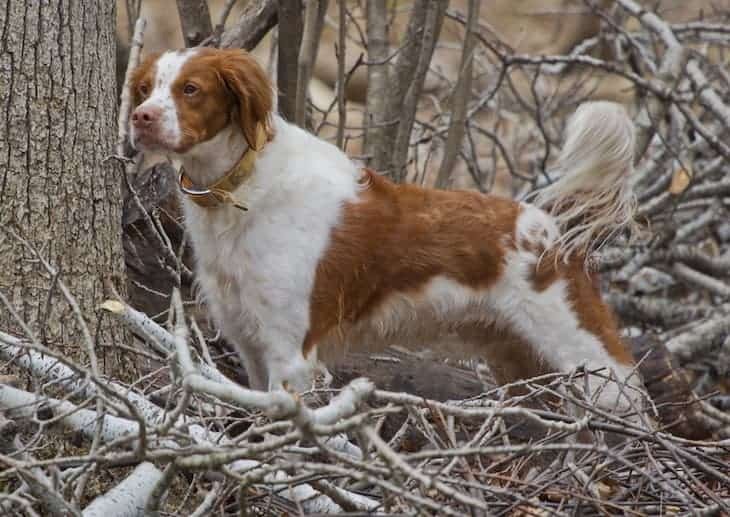 For instance, if you like to hunt or fish, the Brittany will be more than happy to lead you to or bring back your game. 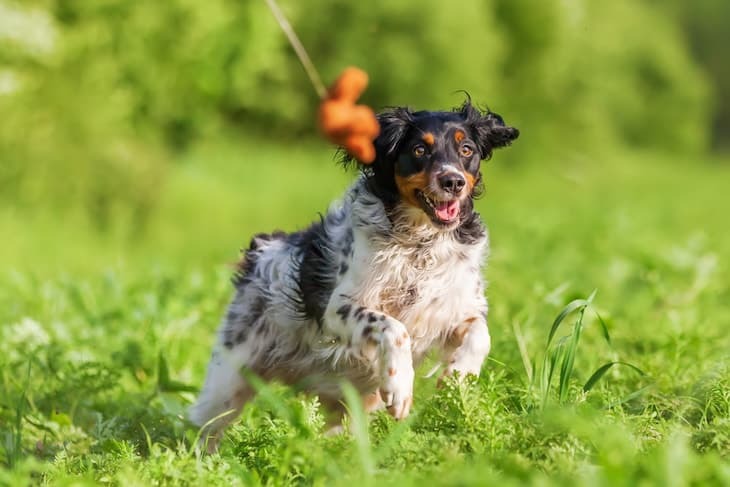 If you're not into hunting, you can instead engage your Brittany in doggy activities like playing fetch or fly-ball. The coat of a Brittany Dog is typically flat or curly but, more importantly, short, so she doesn't require a whole lot of grooming to look nice and stay clean. A weekly once-over with a brush or glove to lift any stray hairs should do the trick. Give baths as needed. Check and clean her ears regularly, and be sure to trim her nails as needed. You can brush her teeth daily, but at least twice or three times per week is recommended to remove bacteria and prevent tartar buildup. She hates to be yelled at. The Brittany is one dog who does not take kindly to harsh scolding. She is more sensitive to your corrections than other breeds. You shouldn't need to yell at or hit her to get your point across. You want to socialize your Brittany from a young age because, if you don't, she can grow into a painfully shy adult. Even if you socialize her from a young pup, every Brittany is different insofar as how friendly they can be. Sometimes it does not matter what you do; if the Brittany is not up to making friends, then she won't. Some Brittany Dogs prefer the company of those they know best. That's because they're either too shy or not interested in meeting anyone new. Find valuable training resoures here to help you on your Brittany Dog journey. Compared to other breeds, the Brittany is a very healthy dog. Her life expectancy ranges from 12 to 14 years. And a healthy weight for her is between 30 to 40 lbs. Feeding recommendation is between 1.5 to 2 cups a day of high-quality, dry food, divided into two meals. Any more food than this, especially if you overdo it with the treats, can put her in danger of becoming overweight or even obese. Being overweight carries its health problems. Therefore, you should be vigilant in making sure that you do not overfeed your Brittany. As significant concerns go, the only things you have to look out for with this breed are Hip Dysplasia, Epilepsy, and Hypothyroidism. On average, the price of a Brittany puppy is about $700 if you're looking into purchasing from a breeder. Show quality puppies can go for between $1,100 and $3,800. Of course, there are additional costs involved in raising a Brittany, so $700 is like a down payment on everything to come. You also need to factor in the costs of a professional groomer. A budget for any potential health concerns and vet visits. And figure out how much you will be spending on food and accessories each month. Daily walks won't cut it for this dog. She needs engagement. And she needs to run herself ragged until she flops in a corner somewhere at the end of the day. The Brittany is not a dog you can leave home alone all day while you're at work. If she doesn't get the right amount of exercise every day, she will go stir-crazy and take it out on your furniture. The Brittany Dog is like a little kid: she has a ton of energy, and she's delightful. Don't scold her too harshly while training her because, if she was a little kid, she would cry just the same. She's a sensitive soul who wants to do right by her master.